Jimmy Nelson will be officially recalled to make his season debut for the Milwaukee Brewers before Sunday’s series finale in Miami. That much we knew since yesterday. What needed to happen though was a player being removed from the 25-man roster one way or another to make room. #Brewers announce that Jeff Bianchi has been outrighted to Triple-A. That clears a 25-man spot for @Jimmy_J_Nelson and a 40-man spot. Jeff Bianchi has been outrighted off of a 40-man roster before in his career and why that matters is that he has the right to refuse the assignment thereby becoming a free agent. The Brewers have expressed a desire to keep Bianchi in the organization, but he has said that he’ll talk things over with his agent before making a decision. 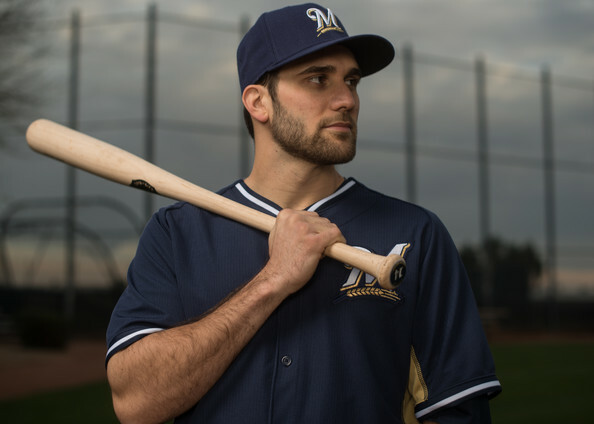 Bianchi was originally acquired by the Brewers on January 11, 2012 via waiver claim from the Chicago Cubs. The Cubs had claimed Bianchi on December 9, 2011 from the Kansas City Royals, his original organization. For the foreseeable future, it looks like the Brewers will retain switch-hitting utility man Elian Herrera as their primary backup at the key shortstop position. Herrera can play all three outfield spots, third base, and second base as well. We’re on the precipice of Opening Day, but there are still some decisions awaiting the front office staff of the Milwaukee Brewers. Most pressing, if not most important, is how they will construct the 25-man roster to begin the 2014 regular season. In this, they’ve got some options. Let’s assume a couple of things off the top here. First, a standard 13 hitter, 12 pitcher roster split. Second, that we’re all aware that things will change throughout the season and plenty of the players who don’t make the Opening Day roster will don a Brewers uniform at some point in 2014. I’ll lay out the different roster groupings and then explain what went into my decisions thereafter. Cool? With that, to the list! I did my best educated guess at the order here too. It was announced that Gallardo has Opening Day honors and that Lohse will follow in Game 2. It was also hinted that Garza could pitch the opener in Boston, but that isn’t for sure yet…at least not publicly. Couple that with how well Estrada has pitched and he’s the superior choice against Atlanta in Game 3 than is Peralta. The wrinkle here is that the Brewers have the opportunity to start the season with four starters because of the off-days scheduled. They don’t need a fifth starting pitcher until mid-April. If they do that, Peralta would start with Nashville to stay on rotation. Henderson is the incumbent closer. Rodriguez was brought in on a MLB deal and has the longest track record out of any of the options. Smith has been great this spring after being acquired in trade. Kintzler was very good last year and has a spot locked up. Wang makes it in part because of how well he’s thrown but also because of the Rule V circumstances. Wooten pitched well enough in his time last year that he gets one of my “open” jobs. He’s certainly in a fungible position, though, as he’s got minor league options remaining. For the final active spot, I’m going with Alfredo Figaro. I know that Tyler Thornburg is under consideration for that job, but I think that they’ll realize that he’s more valuable staying stretched out at Nashville in order to cover the inevitable first injury to the starting rotation than he is in pitching at best every other day in Milwaukee as the long man. Figaro filled the long relief role admirably last year as his stuff played up out of the bullpen. Wooten, Figaro, and Thornburg all have at least one minor league option remaining so there’s no real consideration of roster depth when making any decisions concering the three. And I think we’ll be seeing all of them pitch at Miller Park in 2014 at one point or another. As for non-roster invitee Zach Duke, I think that the Brewers have liked what they’ve seen but with Wang making good (so far), there really isn’t room for Duke to begin the season. The veteran lefty is on a minor-league deal, so most likely he’ll simply be assigned to Nashville to start. They’re the only two on the 40-man and that’s because they’re the two best in the organization. Nothing more needs to be said here. 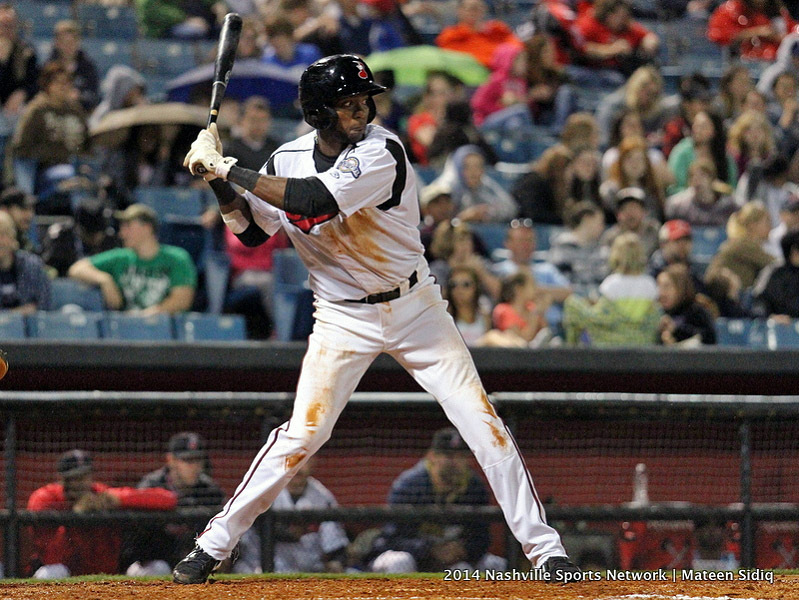 Reynolds was signed to a minor-league deal for roster considerations at the time. He’s got a job. Weeks is the longest-tenured player in the organization right now and isn’t moveable (yet). Segura and Ramirez are obvious inclusions. Gennett comes along if they go with two second basemen, which has been the hottest talk of late. Despite all the talk to the contrary lately, I still think that if they must choose between them, Francisco’s potential, relative youth, power, and increased patience this spring outweight Overbay’s veteran savvy, locker room presence, and far superior defense. That said, I can absolutely see a scenario in which they trade Francisco for an asset and keep Overbay. Maybe I’m projecting Francisco simply out of hope. The other hotly contested job has been the utility infielder role. Jeff Bianchi filled the role last year with middling success. The biggest challenger to Bianchi’s incumbency has been the 40-man rostered Elian Herrera, who was claimed off waivers from the Los Angeles Dodgers over the winter. They’ve both hit, they both have defensive versatility. The differences that matter: Bianchi is a better defender at shortstop. Herrera is a much more natural outfielder (which is big when you’ve only got four rostered). Herrera is a switch hitter. Bianchi is out of options; Herrera has one remaining. It is that last point that I think will be the deciding factor. Herrera will start at Nashville and would absolutley be the first man called upon should an injury befall any infielder on the big league roster. For the record: Should they decide that they can forego two second basemen to start the year to even the roster out a bit a more, I think Herrera would make the club over a fifth true outfielder. Another easy prediction. Schafer could see some time starting in left field, but as the only man on the projected roster that can backup centerfield, he’ll likely be providing coverage from the bench more often than not. I welcome feedback and want to hear your opinions. Do you agree? Disagree? Think I’m overlooking an important detail or better player? Look down there…a “Comments” section. TWO WEEKS! You’re officially allowed to start freaking out, if you haven’t done so already. It’s so close that we can almost taste it. It’s certainly close enough to feel, despite the reluctance of Mother Nature to loosen her icy grip on the nation’s heartland. Thankfully, with Miller Park’s roof and heating system, they’re able to raise the “inside” temperature roughly 30 degrees over outside temps. So even though it might be cold in two weeks, the thoughts of tailgating and baseball should keep us warm through the balance of the month of March. 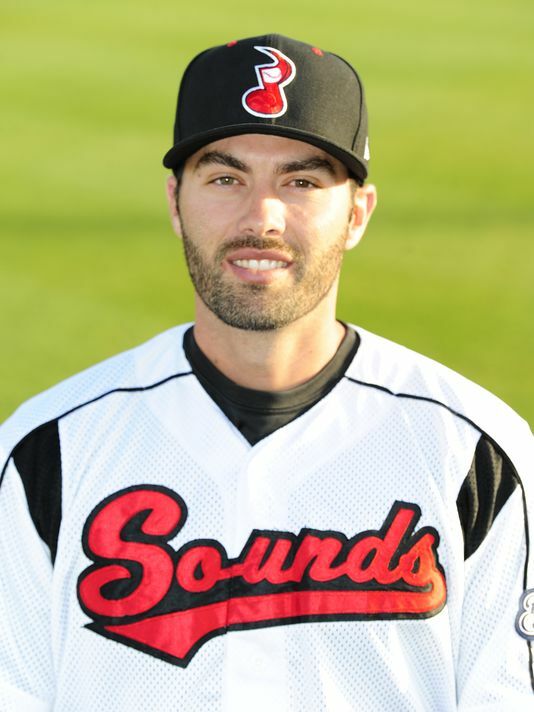 Jeffrey Thomas Bianchi is a 5’11” infielder who was originally drafted by the Kansas City Royals in the 2nd round of the 2005 First-Year Player Draft. In other words, this is a guy who’s carried quite a bit of expectation with him throughout his professional career. I outlined his injury troubles last year which helps to explain his delay in debut and his limited successes since then, but he’s been fairly injury prone throughout. That includes 2013. Bianchi was asked to play in the 2013 World Baseball Classic on behalf of Team Italy but was unable to participate after an early groin injury and a resultant bout of hip bursitis. It was a shame too, as Team Italy was a the surprise of the tournament and could have used the man slated to be their starting shortstop. Bianchi rehabbd throughout much of the month of April and made his season debut after finally being activated from the DL on May 2. The Pennsylvania native contributed a little bit at the plate and offered some necessarily defensive flexibility, even covering 5.1 innings in left field over parts of three games. The situation for 2014 though is something of a different set of circumstances. Bianchi is being challenged by a couple of different players who are new to the organization. Both Elian Herrera and Irving Falu have been playing a bit of round robin with Bianchi this spring, covering innings at second base, third base, shortstop and the outfield. And while Bianchi is limited as best in the outfield, Elian Herrera has been playing centerfield as well as the corners. Herrera has been hitting well (.296/.367/.556) this spring and is more versatile overall in the field, but for his part Bianchi has hit too (.310/.355/.448 at time of posting) and is the best defensively at shortstop of the three. In a perfect situation the Brewers would be able to structure the 25-man roster such that they can keep both Bianchi and Herrera. However, the roster pinch that exists due to the desire to keep two first basemen and possibly two second basemen could severly hamstring the Brewers’ ability to maximize the flexibility on their bench. The pain could be eased by optioning Scooter Gennett to Triple-A to start the season, but that’s reliant on Rickie Weeks proving he’s worthy of another chance at holding down the every day job at the keystone. But we’re not here for that discussion. All that Jeff Bianchi can do is try to excell in the areas he can control. He can’t control how Herrera, Falu, Weeks, Gennett, or anyone else plays. He can only perform to the best of his ability and hope that, coupled with his track record of dependability, that’s enough. The clock is ticking, though, and a decision looms.